The temperature is rising and you and your family cannot wait to get out of the house and explore. Winter has worn tempers thin, and spring is a promise of happier, sunnier days and a chance to try something new. If a spring break escape is on the agenda for your family, it’s probably time you start preparing to pack your bags, but let’s face it -- traveling with kids isn’t a walk in the park. With their own set of needs, you’re packing for a whole family’s worth of vacation must-haves. Lucky for you, InMotion is here to break down a few things that will make your spring break escape with the family a little easier. From portable chargers to travel car sets, we’ll show you the best tech for surviving a spring escape with the family. When it comes to tech for the kiddos, you want something built to withstand a little roughhousing. The Ultimate Ears WONDERBOOM Portable Bluetooth Speaker is the perfect combination of portability and durability. 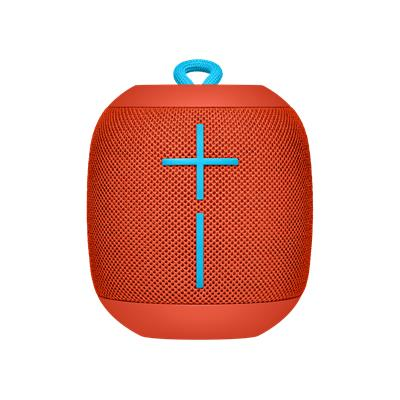 Built with a circular design for 360 degrees sound, everyone in the family can enjoy the sweet, high-quality sound of the Ultimate Ears WONDERBOOM Portable Bluetooth Speaker. 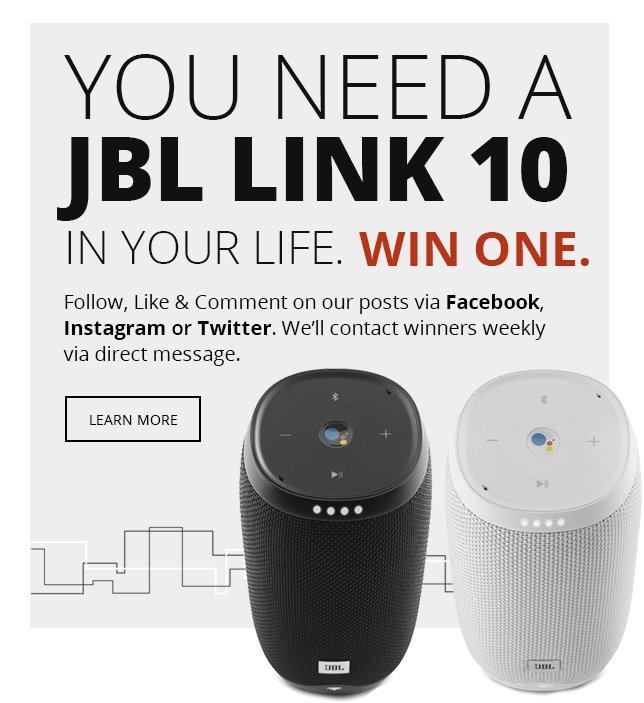 The hanging loop and its compact size make the Ultimate Ears WONDERBOOM Portable Bluetooth Speaker easy to bring anywhere, and this speaker is built kid-tough; the WONDERBOOM is rated ipx 7 waterproof, dirt and dustproof, and floats in water. All this plus 10 hours of sound and a simple-to-use construction makes the Ultimate Ears WONDERBOOM Portable Bluetooth Speaker a new family favorite to bring along. Grab one at InMotion on your way to catch your flight. You board the plane with the kids, arrive at your destination, and hop in an Uber or taxi on the way to your resort only to realize you don’t have a car seat for the little one. 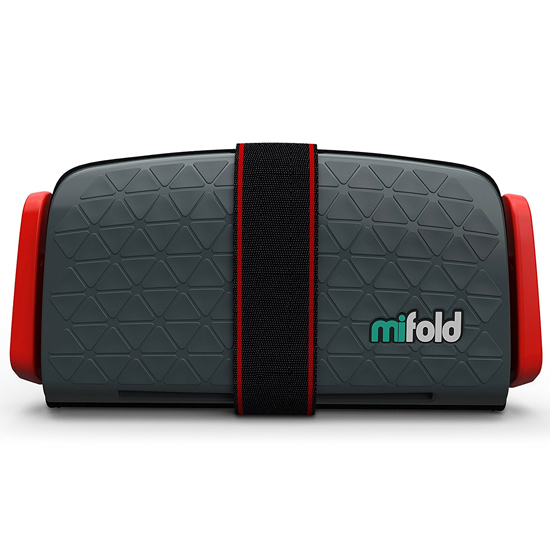 This is a dilemma that parents face every day when sending kids to sleepovers or when traveling, which is why Mifold created their Grab-and-Go Car Booster Seat. This booster seat folds into a 10” x 5” rectangle that can easily fit in a carry-on or backpack, ensuring that your child always has what they need to stay safe in the car while traveling. Great for children 40-100lbs, this potentially life-saving device keeps your children safe when their full booster seat cannot be brought along for the ride. We’ll admit: traveling with the kids can be stressful, and sometimes you just want to tune out the stresses of parenthood (it is still a vacation, after all). Great for both the plane ride and for lounging to relax, the Skullcandy Push Truly Wireless Earbuds feature up to 12 hours of battery life for long-lasting playback and relaxation. 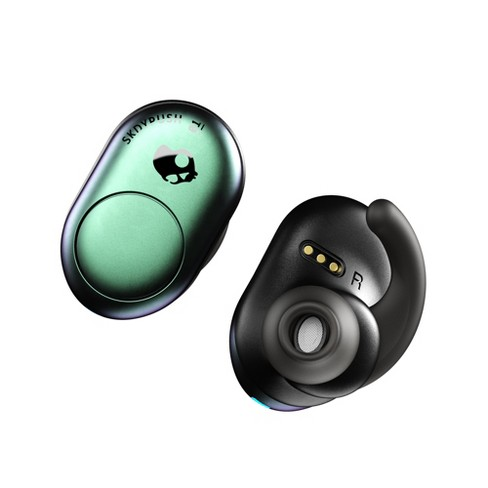 Water resistant and equipped with secure FitFin™ gels, the Skullcandy Push Truly Wireless Earbuds are built to stay in your ear and perform through the elements, making them great for a scenic run while on vacation or getting splashed by the hotel pool. These earbuds are extremely user-friendly, featuring a button on each earbud to control sound, answer calls, and more. Grab yourself a pair at InMotion while catching your flight for your springtime family adventure to always have your favorite music in tote. Scurrying through the airport with the kids is nothing short of hectic. Kids get tired of walking, don’t want to pull their suitcase, and your hands are too full to carry your pint-sized family members. That’s why Trunki created the Kids Ride-On Suitcase, which is a suitcase with wheels that kids ride on through airports. 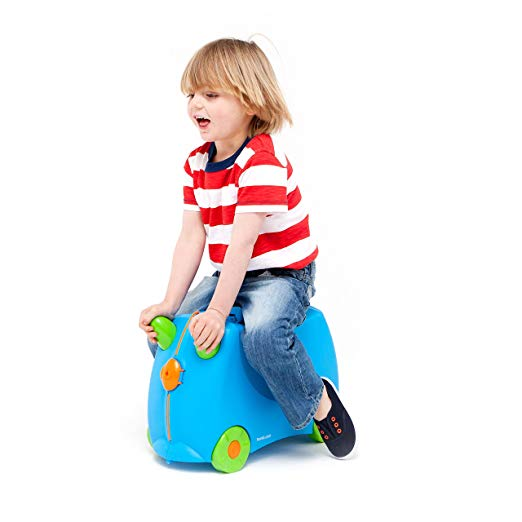 The Trunki Kids Ride-On Suitcase is not only super fun for kids to zip around on through the airport, but stores all their belongings for the trip beneath their seat of the plane in one compact carrier. Parents also have the option to pull the suitcase through the airport or - if the youngster is in the mood to walk - throw it over their shoulder with ease. A fun and functional solution to stressful traveling with kids, the Trunki is a must-have for busy, traveling parents. Nothing is worse than traveling with a dead phone or device; the kids get antsy without their favorite games, you can’t get in touch with family and friends, and accessing email and texts is not an option. An absolute must-have for traveling families is the myCharge Adventure Max 10,050 mAh Portable Charger. The myCharge Adventure Max 10,050 mAh Portable Charger allows you to charge up to two devices at once - including smartphones, tablets, and other USB products - while on the go. 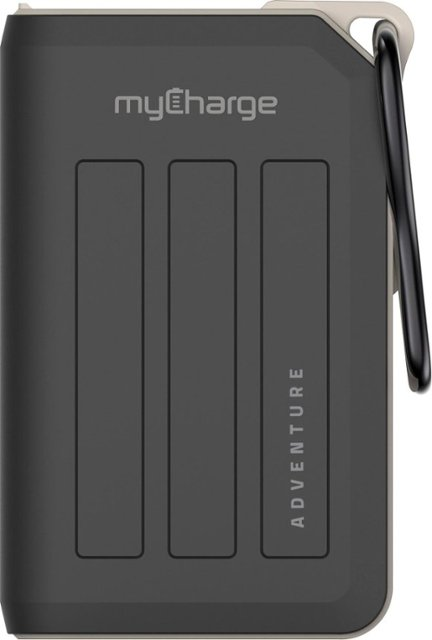 With the ability to hold up to 6x extra battery in a rugged and portable device, the myCharge Adventure Max 10,050 mAh Portable Charger is perfect for a busy day of traveling or adventuring on your spring getaway. Keep it with you at all times with a built-in carabiner clip that makes the myCharge Adventure Max 10,050 mAh Portable Charger both accessible and super portable on every adventure. Grab this must-have at InMotion on your way to your next family vacation. Family vacations can be stressful, but you can relieve the stress with these clever family vacation must-haves. Stop in at InMotion before your next vacation to grab all the tech you need for a successful springtime family getaway. Our expert associates will help you find the right tech for your unique needs.